MUST SEE VIDEO! CLICK HERE! Exam, X-Rays and Teeth Cleaning! May purchase one certificate for each member of your family! Today we have a deal that will leave you smiling! 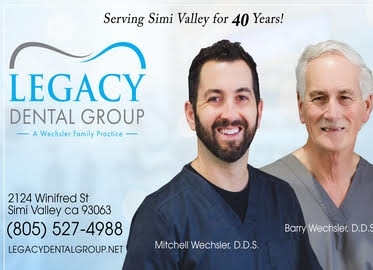 Get a complete dental exam, x-rays, and cleaning with the 5-star rated Legacy Dental Group in Simi Valley at the "sparkly" price of just $39! With today’s deal, you may purchase one certificate for each of your family!